Practical, handy and durable serving spoons are indispensable for school cafeterias. 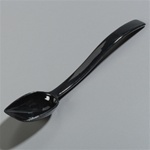 Round Eye Supply has a wide variety of slotted and solid cafeteria serving spoons for your kitchen buffets. 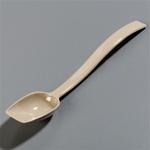 The premium quality serving spoons we supply are machine washable, sturdy and easy to use. Reduce food wastage and maximize serving efficiency in your school foodservice with these serving spoons designed to serve any kind of solid, sticky or cheesy foodstuff. Vollrath Heavy Duty Slotted Stainless Steel Basting Spoon 13.25 in. Vollrath Stainless Steel Slotted Spoon - 13 in. Vollrath Stainless Steel Slotted Spoon - 15 in. 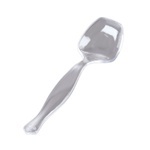 Vollrath Stainless Steel Solid Serving Spoon - 15 in. Vollrath Stainless Steel Perforated Serving Spoon - 13 in. Vollrath Stainless Steel Perforated Serving Spoon - 15 in. Update International Hollow Handle Slotted Spoons - 11.75 in. Walco Royal Danish Stainless Steel Slotted Serving Spoon - 12 in. 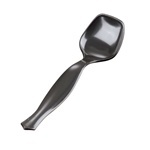 Buy wholesale Cafeteria Serving Spoons from the cafeteria school supply leader of America. Our inventory features various kinds of heavy duty slotted stainless steel basting spoons that ensure optimal draining and faster, efficient service. These serving spoons come with a hygienic one-piece construction, grooved handle for extra strength, and satin-finish construction. You can also find slotted school cafeteria serving spoons featuring high temperature patent nylon handles that are heat-resistant, user-friendly and slip proof. You can also choose from various stainless steel solid spoon models that feature a one-piece, mirror-finished stainless steel with grooved handles. 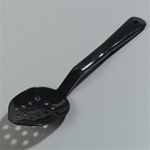 If you are looking for plastic spoons, Round Eye can offer you a selection of clear, black and beige perforated and solid serving spoons that are dishwasher safe and highly heat resistant and come with a two-year warranty. 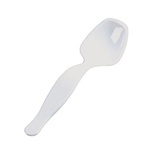 Bulk buy your school cafeteria serving spoons from Round Eye Supply and enjoy huge discounts!